Welcome to Sand and Stars Resort and Motel and our Curtis Michigan area activities. We invite you to plan your Upper Michigan vacation here in Curtis where our location will place you in the center of it all! Spring, summer, fall and winter, we have great activities for each our unique seasons. 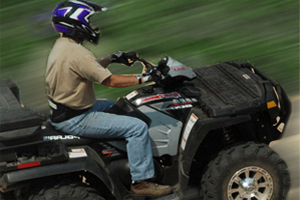 ATV and ORV recreational activity has really taken off in the Eastern Upper Peninsula. Our network of trails throughout the Lake Superior State Forest provide all of our ATV and ORV guests many great hours of riding. Curtis Michigan Snowmobiling is by far our most popular winter activity. 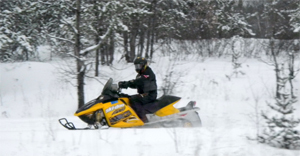 “SnowGoer Magazine voted the Upper Peninsula the Best Overall Snowmobiling Area, Most Challenging, Most Scenic, and Best Powder Riding in the United States!” Curtis is conveniently located in the middle of the Upper Peninsula Snowmobile Trail system. You can explore the U.P. - easily, right from Curtis Michigan! South Manistique Lake is part of the largest lake complex in the Upper Peninsula of Michigan. 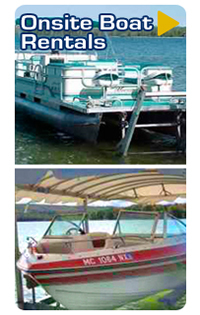 The Manistique Lakes are beautiful and rich with activities - year round. 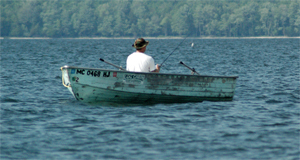 Fishing is popular year-round and many enjoy the sport of ice-fishing during the winter season. Our Curtis Michigan community and the Erickson Center work hard to create family fun annual events for area residents and vacationing guests. 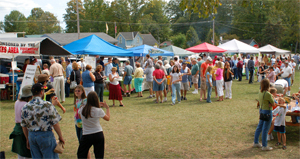 Enjoy activities such as art shows, parades, music, fireworks, carnivals and festivities. Everyone loves to take pure advantage of our lakes and streams. 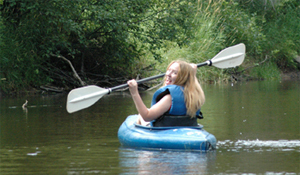 Canoe, boat, fish, swim, ski, and kayak our 20,000 acres of Curtis MI lakes and hundreds of miles of rivers and streams. Curtis is located near 3 area golf courses: Newberry Country Club, The Indian Lake Golf & Country Club of Manistque, and the golf course at the Hiawatha's Sportsman's Club. Curtis Michigan promises you and your family year-round fun!